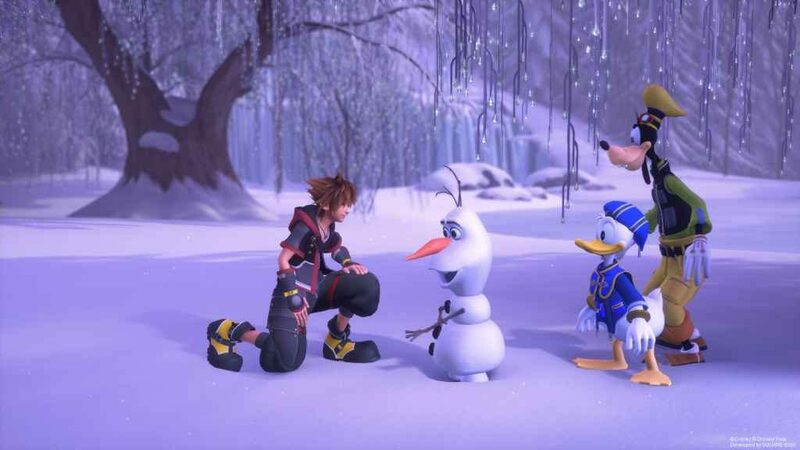 Heads up: series creator Tetsuya Nomura has revealed that some shiny new Kingdom Hearts III DLC (both the free and premium kind) will be releasing later this year. Nomura made the announcement during a recent interview with Dengeki Online in which the director also answered questions about a punishing new difficult level, Critical Mode, and the future of the series as a whole. Unfortunately, we don’t know an awful lot about the exact nature of the proposed DLC. Critical Mode will be rolled out at a later date, either as a DLC expansion or as part of a standard update, once the team has made the appropriate adjustments. Other than that, we only really have a few tantalising hints to go on; hints that suggest we might learn a bit more about certain characters. One thing we do know, however, is that Square plans on releasing these DLC expansions instead of a Final Mix version of the game. Though presumably, a Deluxe edition featuring all previously released content will be available at some point further down the line. What Next for Kingdom Hearts? As far as the future of the series is concerned, the most interesting insight came roughly halfway through the interview. When asked about certain Organisation XIII members, specifically why their identities were concealed, Nomura replied that these mysterious individuals may feature more prominently in future sequels. In other words, though Kingdom Hearts III was, to a certain extent, billed as the end of an epic saga over a decade in the making, there’s still life in the old dog yet and plenty more stories to be told.